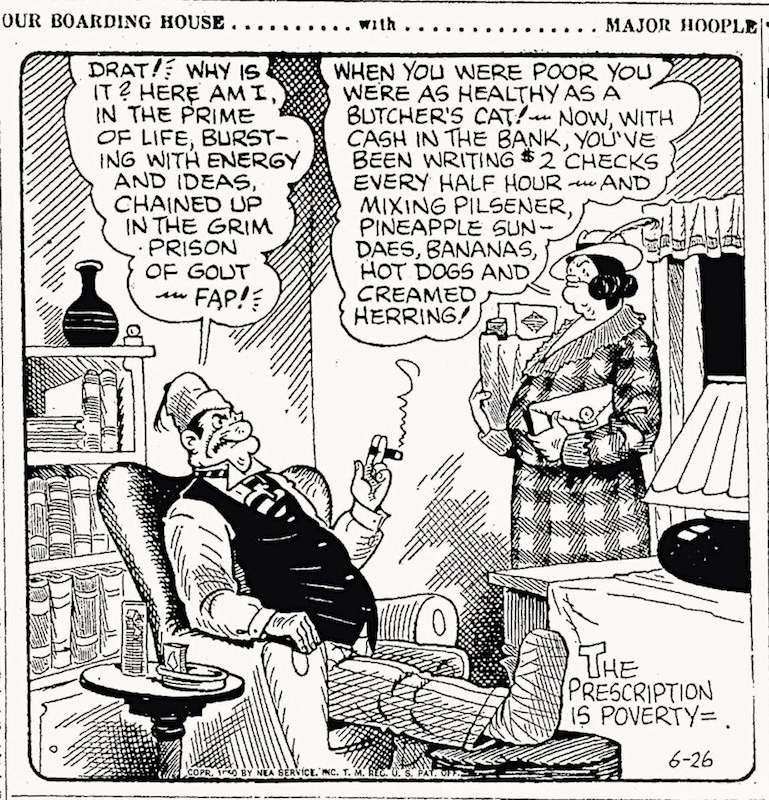 Four in my comics feed Sunday morning: a One Big Happy with the derived adjective quotatious; a Zippy on pangrams; a Mother Goose and Grimm with an ambiguity in marine biologist; and a Doonesbury nominally about pronoun choices, but about much more. I remember this strip (with its play on two senses of pro) with great fondness, and I was sure it had been posted (possibly by me) on Language Log or this blog, but an hour’s searching found nothing, so I’m posting it here. many Americans were shocked when Margaretta Fitler Murphy, called Happy, and Mr. Rockefeller, who was nearly 18 years older than she, married on May 4, 1963. The point is than she, with a nominative pronoun in construction with than — where many people (I am one) would have used the accusative her. 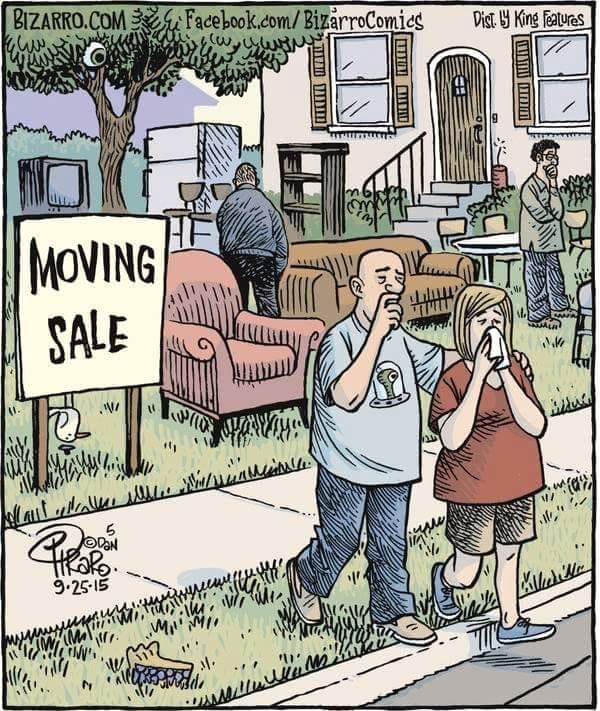 There’s a long-standing issue in usage here, which I’ve posted about on this blog (as “Dinosaur grammar”), in connection with a Dinosaur Comics. 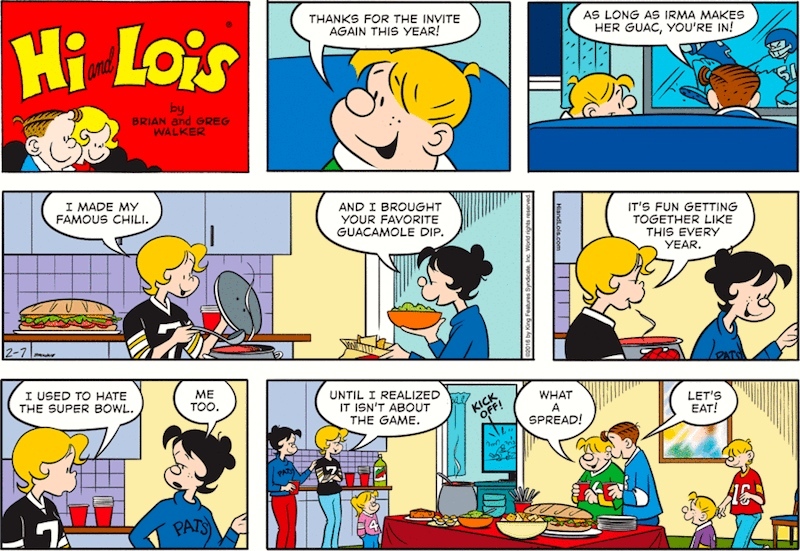 The problem is my use of converted, suggesting that language nerd (also sentence fragment) is converted from one syntactic category (or “part of speech”) to another, as in other examples in the strip, which involve true conversion, specifically the verbing of nouns. But what’s going on in (1) (and more generally in (2)) is not conversion, but the use of expressions of one syntactic category (here, a N-headed expression) in a syntactic function characteristic of a different category: in this case, not conversion of N to Adverb, but use of N in the syntactic function Adverbial, specifically the Adverbial subtype Modifier-of-V.
Michael Siemon then asked if I was aware of this cartoon. 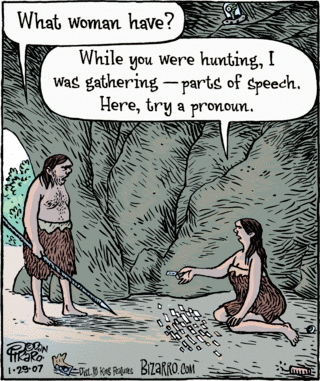 As it turns out, I posted about it on Language Log on 1/30/07, under the heading “Pronouns: The early days” — but, unfortunately, because of changes in the LLog platforms, the cartoon itself has became unavailable in the LLog archives. So here’s a replay. Now I wouldn’t write that phrase down that way, with the slash spelled out, but students tell me they now often do. You are currently browsing the archives for the Syntactic categories category.